Product description The data correspond to the INSPIRE Directive for the theme Buildings (BU). Data are based partly on the project RÚIAN (Register of Territorial Identification, Addresses and Real Estates), which is part of the Basic Registers of Czech Republic and contains information about identification, addresses and real estates, and partly from ISKN (Information System of the Cadastre of Real Estates). 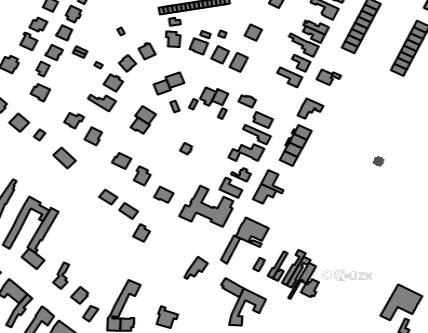 Data published in INSPIRE harmonized dataset on Buildings contains buildings and building parts. Buildings may be based on either ISKN, RÚIAN or both. Building parts represents entrances and comes from RÚIAN. Building parts contain number of floors, technical-economical information and more. The data set covers the whole area of Czech Republic. In the data, 1.21% i.e. 50464 of addresses do not contain geometry (to 2019-01-28) and therefore are not included in the set. More in the Act no. 111/2009 Coll., on the basic registers, in Decree no. 359/2011 Coll., on the basic register of territorial identification, addresses and real estates in the current versions, in Act no. 256/2013 Coll., on cadastre of real estates, in Decree no. 357/2013 Coll., on cadastre of the real estates and in the INSPIRE Data Specification on Buildings v 3.0 from 2013-12-13. Data in the GML 3.2.1 fotrmat are valid against XML Definition Schema for the theme Buildings in version 4.0 and spatial data scheme for ELF in version 1.0.